So, I managed to grab myself two jumpers. I say jumpers, I think they are actually PJ jumpers to wear to bed as there was matching PJ bottoms. However, I loved the jumpers way more and would have no issues wearing them out in public. They are made out of this super stretchy material and are so comfortable. 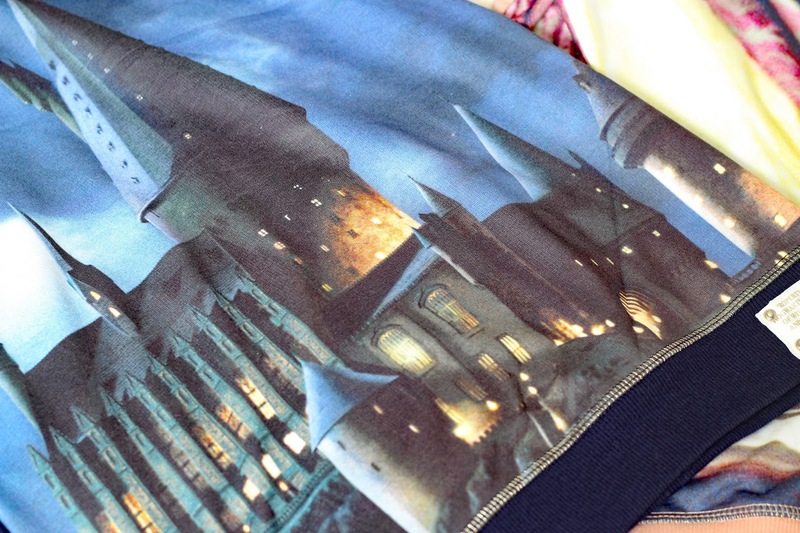 I got Hogwarts at night and Delores Umbridge ones. They were £12 each which I don't think is bad at all. 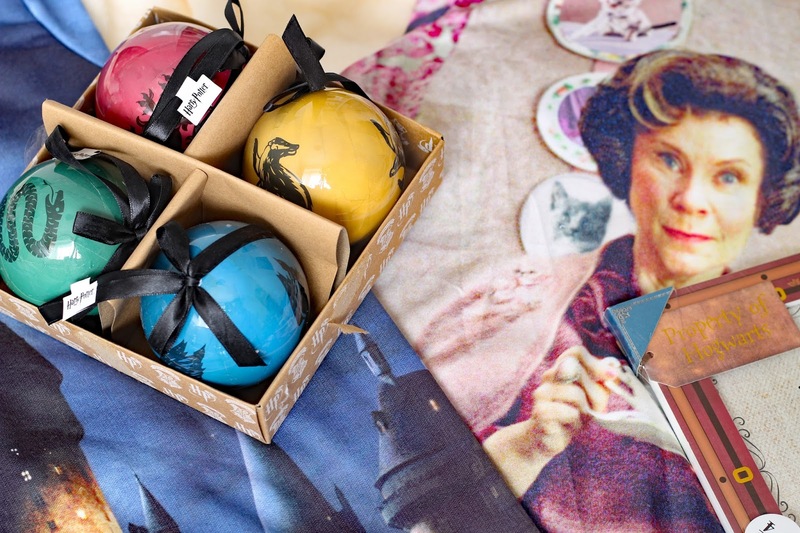 The next thing I picked up was some Christmas baubles. You get a set of four for £4. Each one is representing the different Hogwarts house. When I picked these up, I didn't really check them over. Big mistake when you go to Primark. When I got home I saw that they were cracked but they weren't broken. But when you feel the cracks, they don't feel like cracks. I guess its either the design or they are just cheap plastic Primark quality, which is more likely. Probably my favourite thing I got on this trip was these LED potion bottles. These are a string of lights which I can't wait to wrap around my bed. They are so cool and different. They were also only £8 which is a steal if I ever did see one. I also got a few small bits on the trip, including two pairs of socks which match the designs of the jumpers I was on about earlier. They are made out of the same stretchy material and look so cool. They were £2 each for one pair. I also picked up a Harry Potter photo frame for £5. My dad picked this up for me and thought it would be really good to display a Dobby Postcard I picked up from the Studio tour in London earlier in the year. When I saw the Dobby footlets from across the store I headed straight for them. Unfortunately, they only had sizes 6-8 left. However, they were only £4 so I took and a chance bought them and actually they fit really nicely with cosy socks on underneath. I love wearing these on the cold winter evenings. Lastly, I picked up a set of six Slytherin badges. I love these SO much. They come with a little Dobby and Slytherin crest sign. They did these for the other houses too so make sure you have a good look for your house. They were only £3 which is pretty darn good if you ask me. I really hope you enjoyed this little bonus post this week. I do love Harry Potter and I know you guys to do. Let me know what your favourite thing is in the comments below! 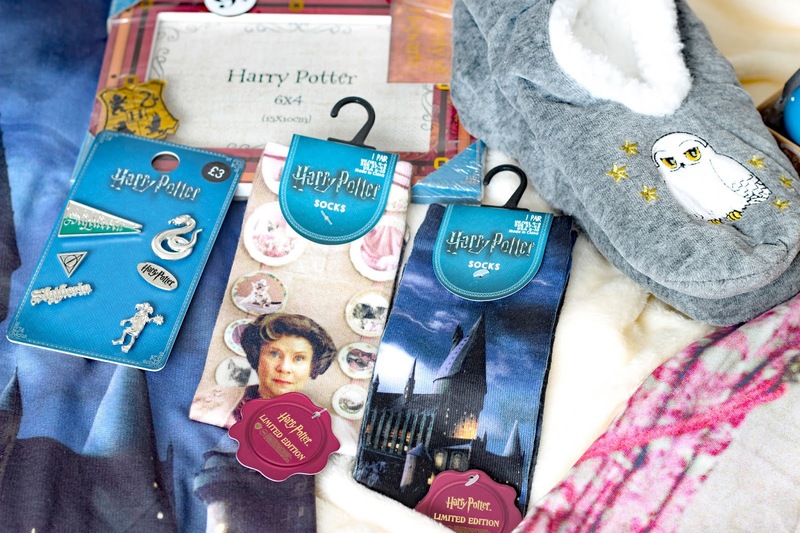 Ohhh this post just makes me desperately want a trip to primark! 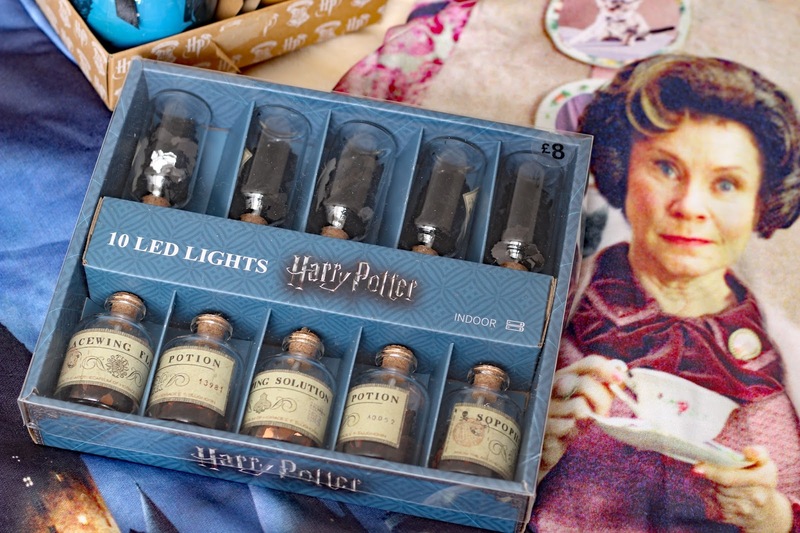 I love all the Harry Potter stuff :) those potion lights are amazing! The potion bottle lights look amazing!! LIVING FOR THIS. 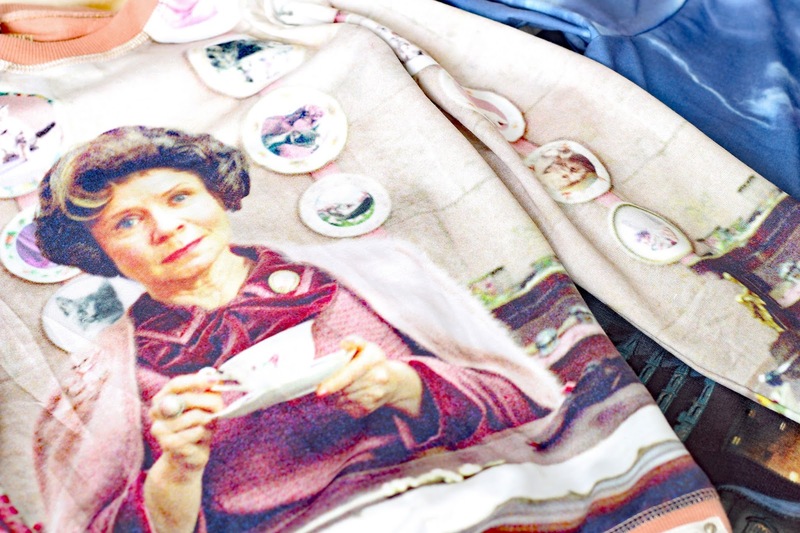 Seeing Umbridge is never pleasant but loved this haul. I loved the jumpers way more and would have no issues wearing them out in public.